Mom, the Intern: Texas -- raise your hands! Texas -- raise your hands! One of the reasons I haven't been blogging much lately is I'm getting ready for a trip to Dallas, Texas next week. Why, you ask? Well, the choir I perform with has been invited to sing at the American Choral Directors Association national conference and it's happening NEXT WEEK! This is a HUGE DEAL and we are so honored to rub shoulders with some of the greatest choirs on the planet at this event. It's basically the Academy Awards for choir nerds. So naturally, I'm stoked. I'm the social media chairperson for the choir so I've been doing a lot of work in preparation for our trip. 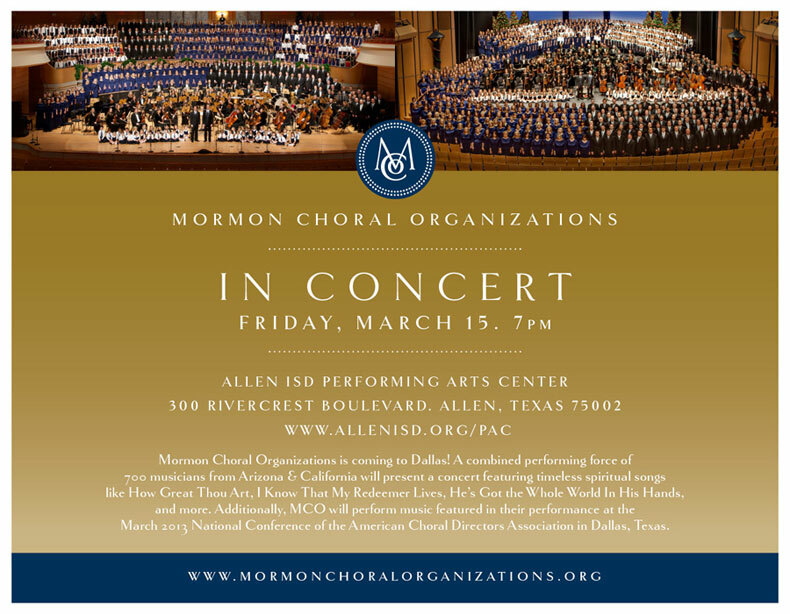 See, not only are we singing at the gorgeous Meyerson Symphony Center in downtown Dallas, but we're also putting on a separate community show for our friends in Allen! Yes, nearly 700 of us. All at once. We'll be performing some of our ACDA repertoire as well as some other MCO favorites. It's going to rock your socks off. It's very affordable, starting at just $10 per seat. You don't want to miss this! **Side note: I won't actually be performing in Allen because I'll be working at our ACDA exhibit downtown during that time. But please, come! I mean, it would be tricky to spot me or hear my lone voice amidst that sea of singers, anyway. I promise, you won't be disappointed! WHY MUST YOU BE HERE WHEN I'M LEAVING TOWN? WHY, JENNA? I'll pass this along, though! I know people. Man! I thought of you before anyone else when I posted this. I'm so sad you're going to miss us!